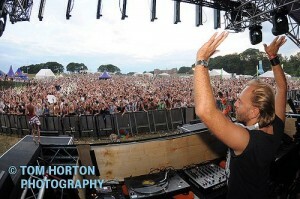 Sven Vath talks Cocoon in the Park. You are here: Home / interviews / Sven Vath talks Cocoon in the Park. Väth is a ruler of the techno world and has been for decades. 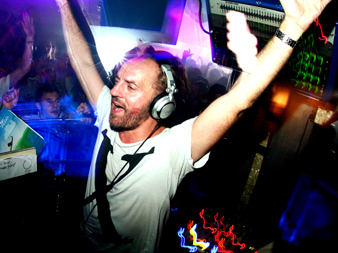 With his revered label and club of the same name, Cocoon, he has brought techno to the masses all over the world and, most famously, at Amnesia, Ibiza, since the turn of the millennium. His learned vinyl sets included sounds from a vast remit of techno; incorporate plenty of colours, oomph and dancing bait and are always served up with a loveable élan and unbridled passion. For the third time in 2011 he has curated his very own festival, Cocoon in the Park, to take place at Temple Newsam, Leeds, with Ricardo Villalobos, Reboot and Seth Troxler all joining him on the one stage for 11 hours of techno fun, we caught up with him to find out more. 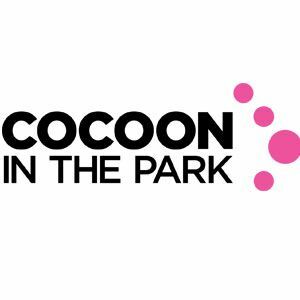 So it’s the third Cocoon in the Park…. Did you imagine it would be this successful when you started it? To be honest, we were quite confident that Cocoon in the Park would be a success. It is rather different to other open air events in the UK, not only do the playtimes of each act differ a lot, there´s also this special vibe in the beautiful surrounding of Temple Newsam. Not mentioning the brilliant sound system and last but not least the crowd, of course. What’s the thinking behind this year’s bookings? How much thought went into it? Well, last year I enjoyed playing with Ricardo a lot. He´s always good for a surprise behind the decks. So I wanted to have him back again. This year and for the first time, we are planning to have a live act, Reboot. Frank (Reboot) is a part of the family, even if he plays for Cadenza 😉 Last but not least, we have Seth Troxler. Seth is also playing for us in Ibiza and at our festival Green &Blue, so we thought he´s the perfect first act of the day and we like his sound a lot. There were noticeable improvements in sound and pyrotechnics in 2010… what should people expect in 2011? Would you ever add another stage? The past two years showed that we are on the right track when it comes to sound and special effects, and I can promise that we will improve every show. This year we changed the shape of our stage for the first time and also planned to have visuals right on the surface of the tent, just to name a few changes. Regarding the second stage: There´s space enough at the venue. So you never know, but, at the moment, I think it is more interesting to concentrate on one stage. That is true, in the old times the public was a bit more local, but thanks to falling prices of flight tickets it is quite comfortable nowadays to travel to your favourite party, even if it is in Italy, Spain or Germany. Or in Leeds 😉 Last March, Cocoon did a show in Austria (Cocoon in the Mountains) and two fans from Japan bought tickets. So you see, clubbing is an international thing today. And I really like that, also since I travel a lot myself. In the Orbit times, there was no social network and internet thing as it is present now, and sometimes I think the music on the spot was more in the focus and not what the DJ played two months ago 2.000 miles away… But times are changing, and everything has its good side. What have been the major developments/evolutions at Cocoon HQ this year? What have been your most exciting projects? Well, as I mentioned before, the first Cocoon in the Mountains event was definitely one of the highlights this year. I’m also very excited about Cocoon Ibiza 2011, as we are focussing on the people behind the scenes, the heroes of the party, so to speak. Of course, the artists and the people you see in front of the curtain are also a big part of the party, but this season, I especially wanted to stress the fact that without the many helping hands in Germany and Spain (and several more places…), the Cocoon Ibiza universe would never be able to unfold. After the summer season, I’m looking forward to this year’s Green & Blue open air near Frankfurt, where I share the stage with Carl Craig, and also Seth Troxler is again part of the line up. Is it true you carry inflatable beds round to put your decks on when DJing? Do you find set ups for vinyl DJ are not as cared about as they were in clubs around the world now? There’s nothing more annoying than jumping needles during your set. In the past, the promoters cared a lot about the vinyl DJ’s setup, but with the growing number of DJs playing with CDs or laptops, these priorities have moved a lot. Indeed, even on the stages of big festivals, it is sometimes really hard to play when you recognise that the decks you play on have been out of use for a long time and have obviously been reactivated just for you. But even if it may be inconvenient, I insist on my record players. What is it about vinyl you love so much do you think? Would you ever play digitally? At the end of last year, I wrote a short essay about DJing as such and vinyl DJing in particular. Over the last few years, there have been many comments as well as discussions on the sound of a vinyl disc (which is, by the way, still the main analogue music carrier). However, no matter how you look at it: a well-manufactured record, played with a good pick-up system on a good pre-amp / mixing console simply sounds better than any of its digital competitors. Vinyl is THE medium for everybody who sets high values on good sound. I could never imagine myself working with a ‘sync button’, because I would miss the tension and, besides that, something very essential: the fun of mixing! I’m also not a fan of effects and artificial breaks. Sure, some shenanigans with the equalizer are rather normal and can be indeed impressive when used but I want to emphasize that the music I play does not need any post-processing, edits and the like, as it already contains a certain originality and is not only able to keep its character, but to even develop and unfold it! Also as an author and producer, I would not be happy if my song was totally cut up and drowned in effects, I mean, what remains from your song then? There’s a big fluctuation nowadays, the DJ acts as the producer and the producer acts as the DJ. Blame it on technology! Believe me, I really would love to have more time to produce and to work in the studio with talented young artists. But now I have a little son, he was born in October 2010, and I want to spend as much time with him as possible, so this activity must step back, given the many other obligations I already have as a company owner and international artist. I think that I have a good ear for new and interesting music, but also my team at Cocoon Recordings is extremely important for me, and together we are providing the basis for the continuing success of the label. What else are you looking forward to in 2011? One thing I’m proud of is the concert of Ryuichi Sakamoto at the cocoonclub in Frankfurt – even if I’m not able to be there, as I play in Detroit that night. Ryuichi is one of the greatest artists in contemporary music, so it’s a great honour for us to have him play in our club. At the cocoonclub, we are regularly inviting guests from other musical styles, especially from Jazz and Classic Music. Last month, for instance, we had Francesco Tristano, who is currently on everyone’s lips with his phenomenal album “bachCage”.